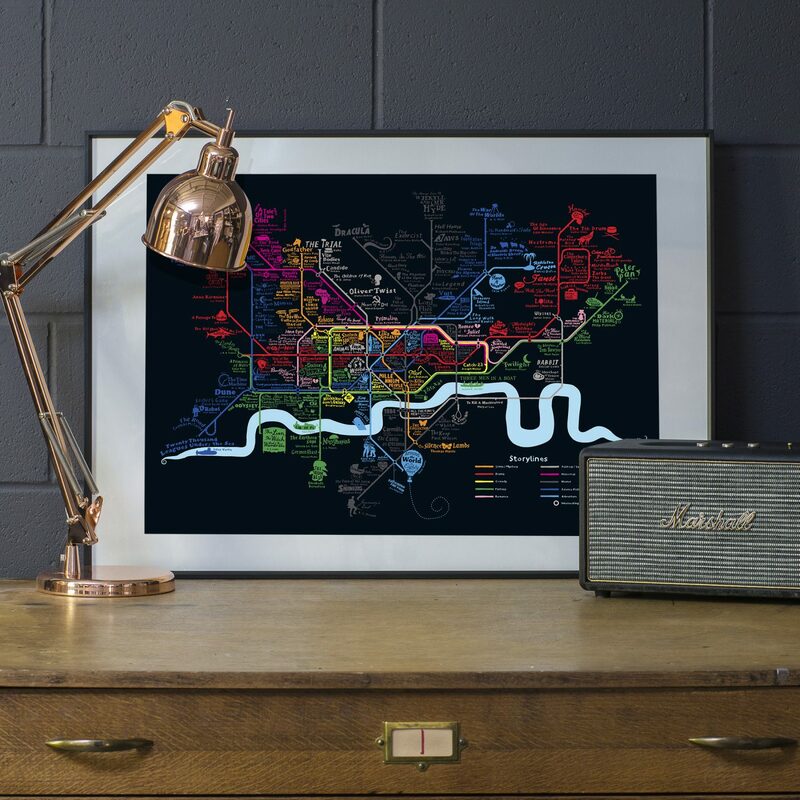 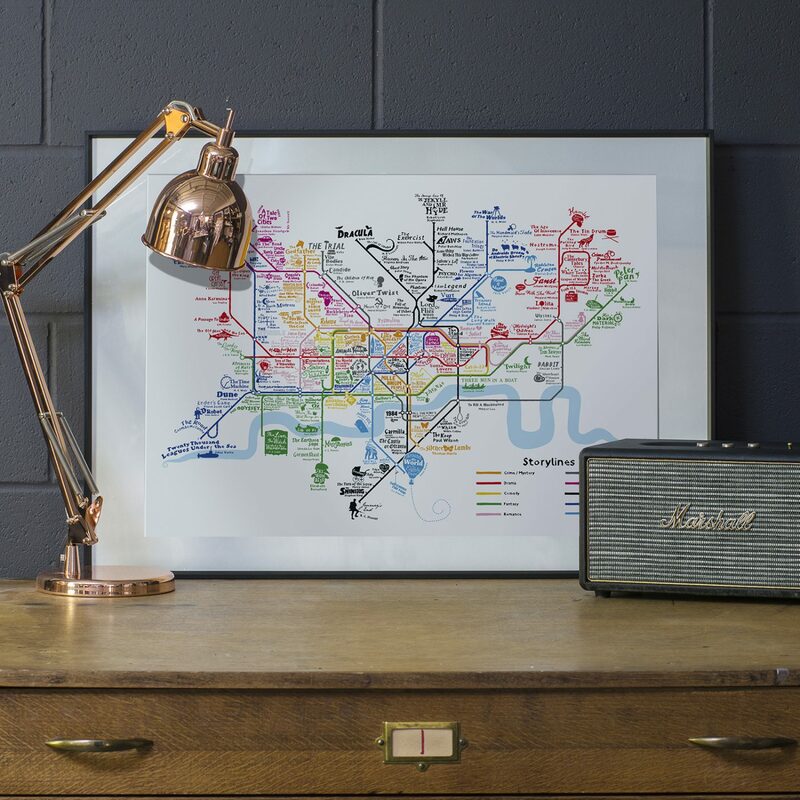 A brand new 2016 Limited Edition of Dex’s underground map. 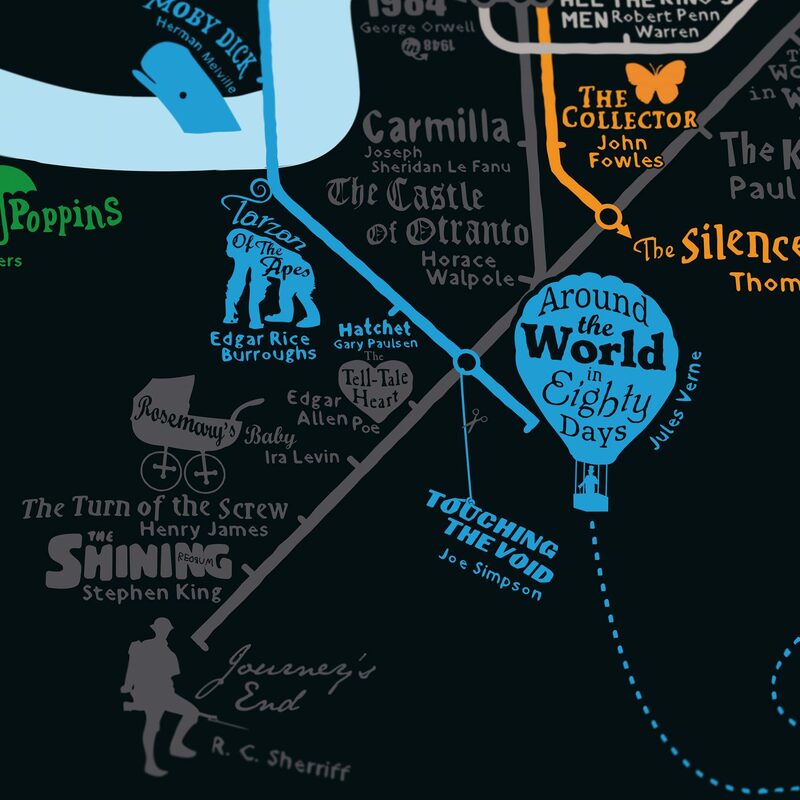 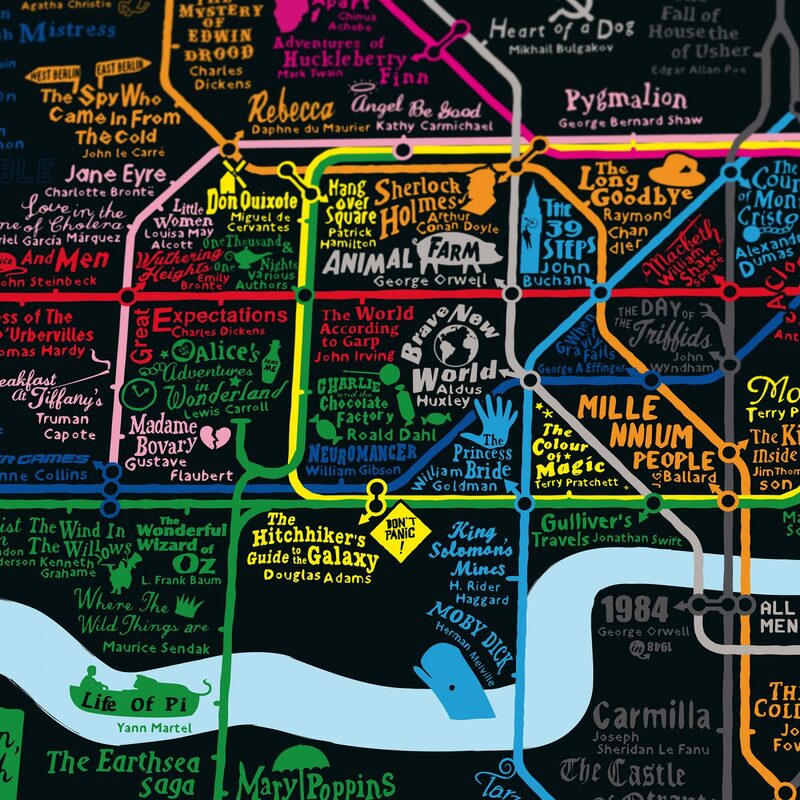 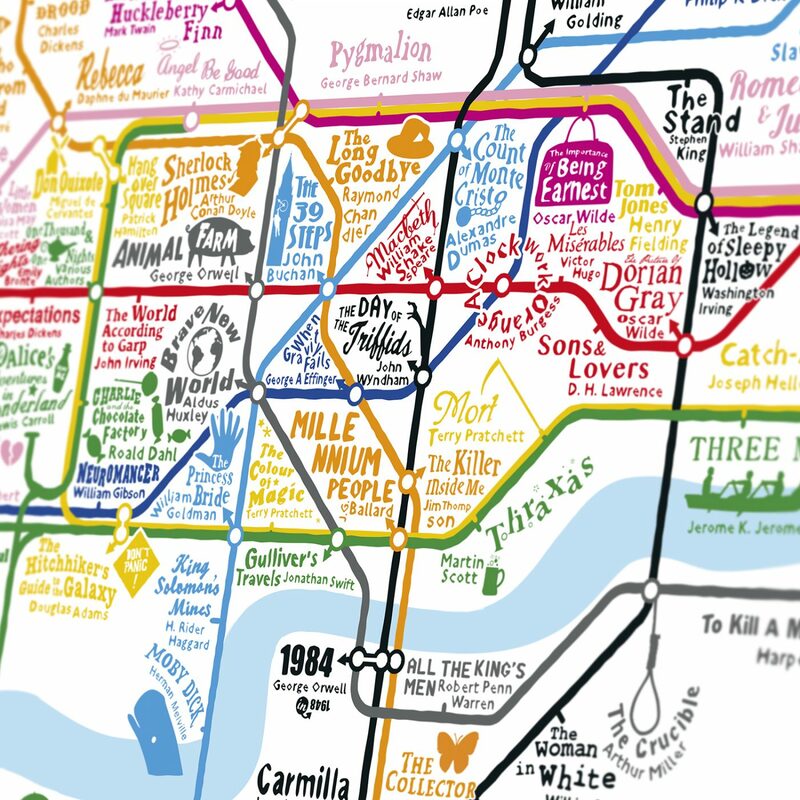 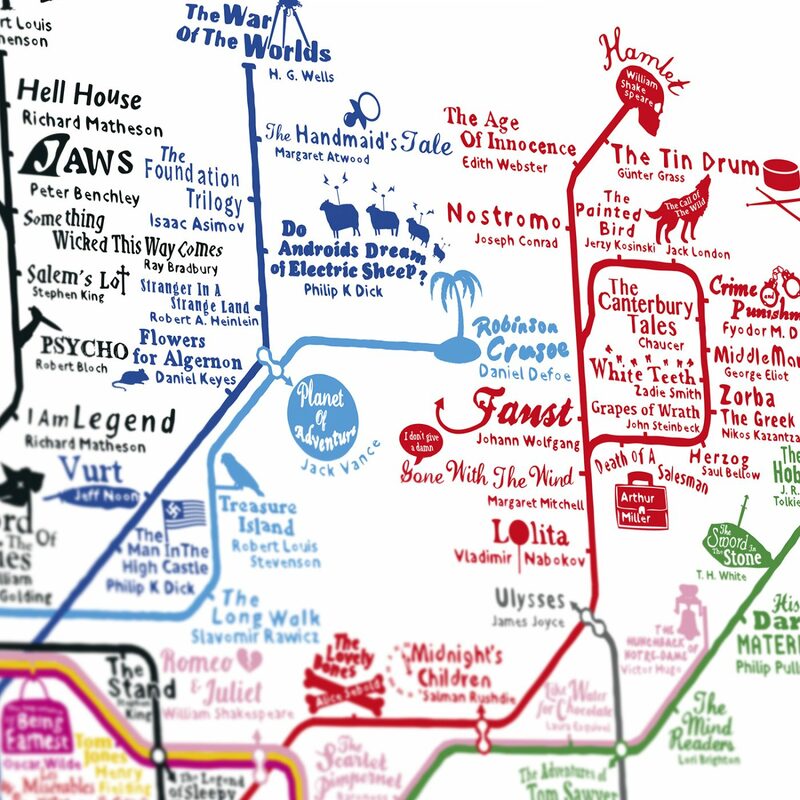 London’s criss cross of tube lines, transformed into a pit-stop journey through styles of storytelling, with the individual metro lines turned into Storylines and genres of literature. 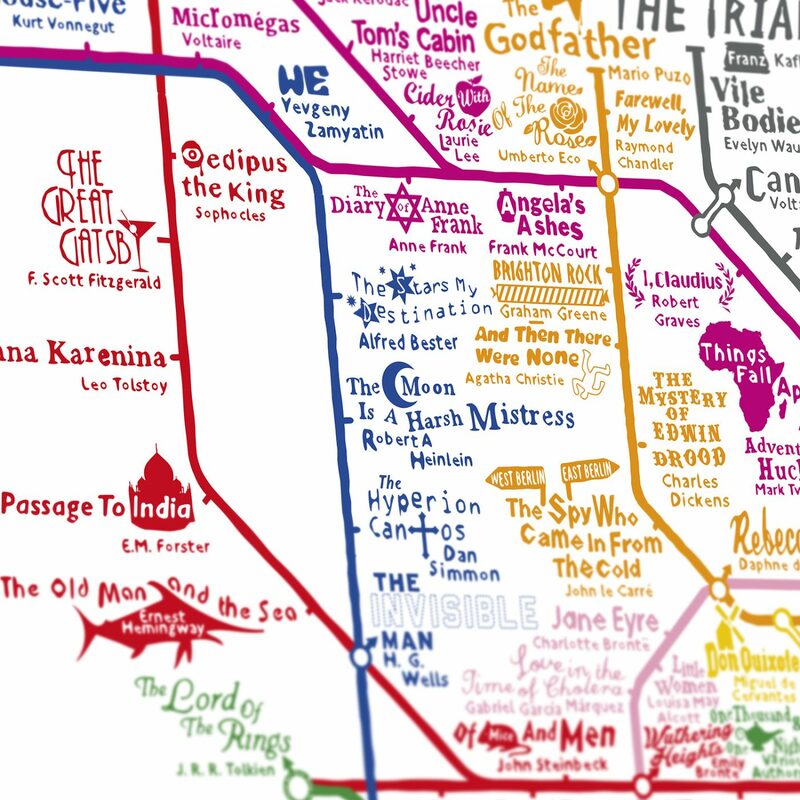 The depths of the Northern Line have been made into the aptly named Horror Line. 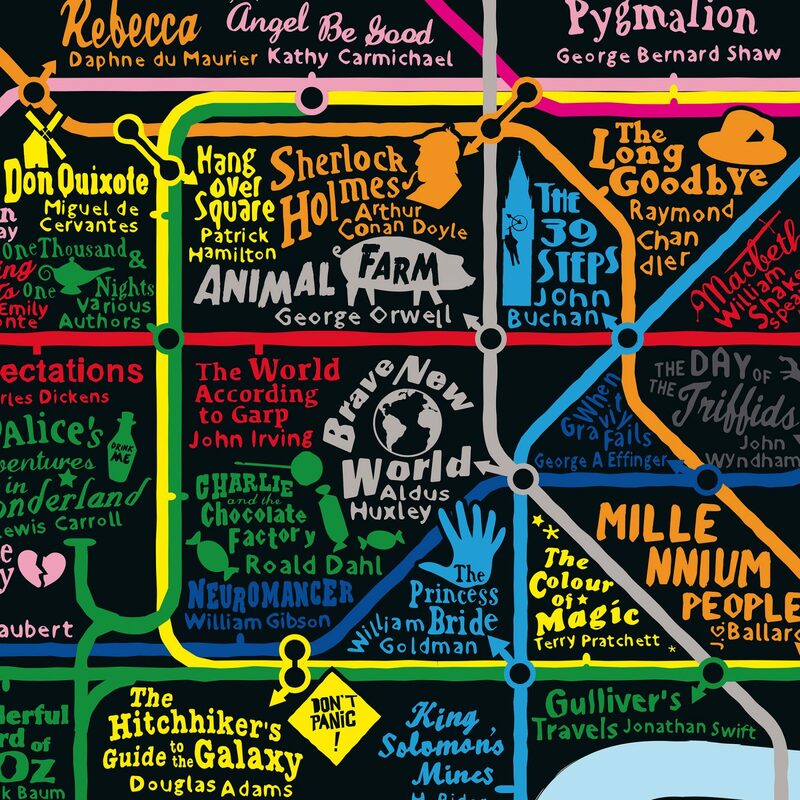 The Bakerloo Line coursing past Sherlock Holmes’s Baker Street becomes the Crime & Mystery Line. 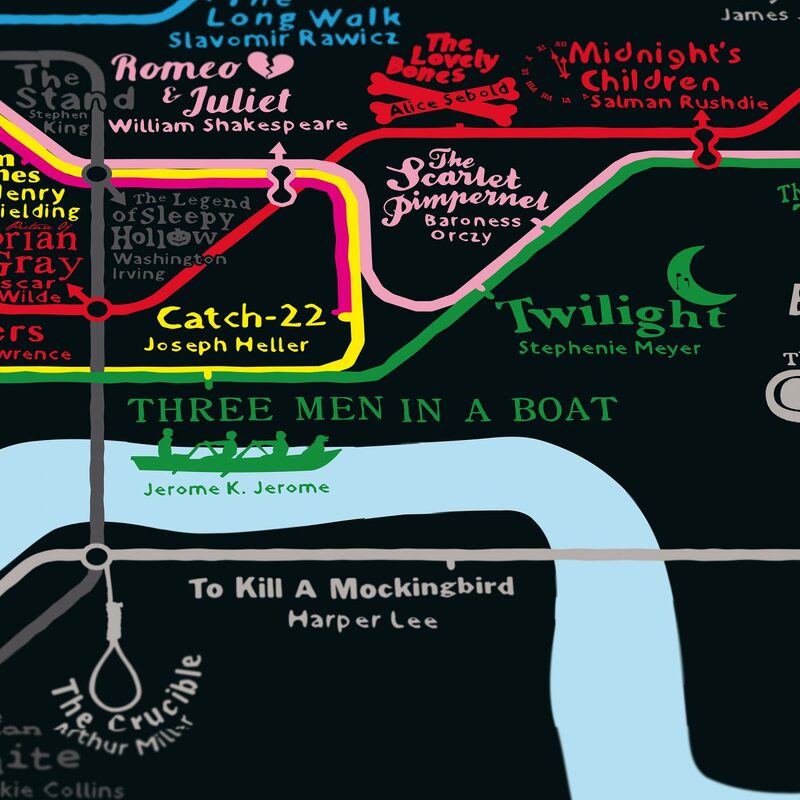 The pink trajectory of the Hammersmith & City is converted to the Romance Line. 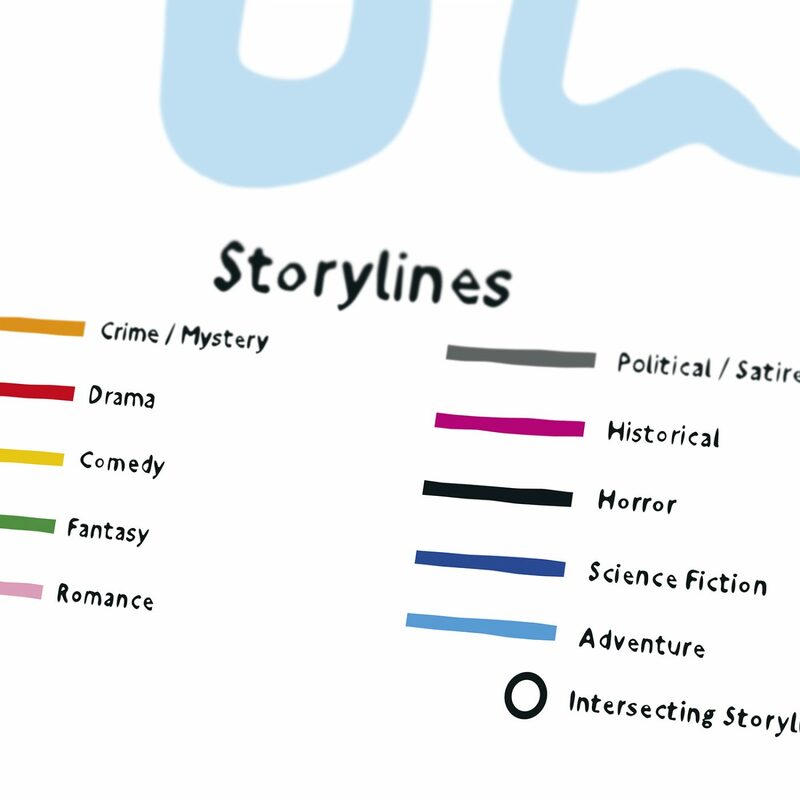 Stations falling on intersecting Storylines get a sub-genre cross over.